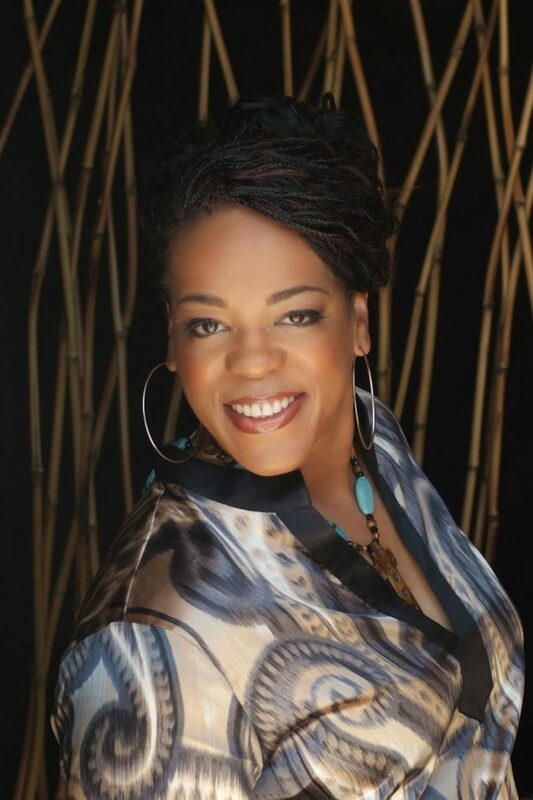 “You have to live life to know life,” says vocalist supreme Evelyn “Champagne” King. “That’s the philosophy I apply to my day-to-day dealings and that’s the philosophy I apply to making my music. 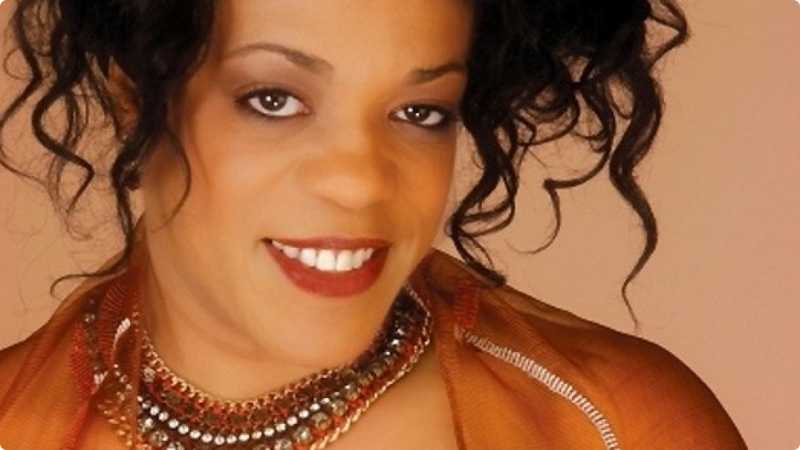 “Evelyn “Champagne” King is one of the few disco stars who successfully weathered the decline of disco to have more hits through the 1980′s. 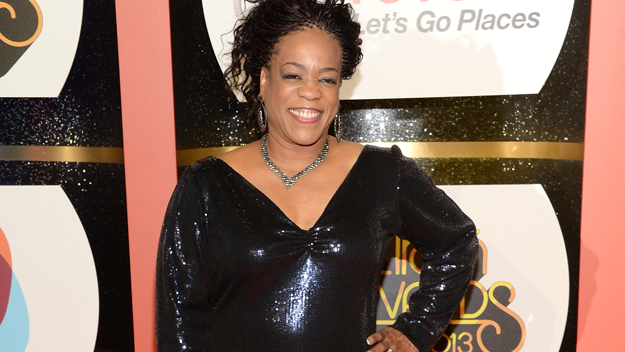 Not only did she manage to survive as a star into the 1980′s, she is still recording and touring frequently today. Evelyn was born into a musical family. She was born in The Bronx and her father, Eric King, performed often as a stand-in singer for various bands, occasionally at the legendary Apollo Theatre. Later, her family moved to Philadelphia, and 14-year-old Evelyn began performing professionally with a local band. At age 15, Evelyn’s big break came in storybook fashion. Legend has it she was working, subbing for her sister as a cleaning woman at Philadelphia’s Sigma Studios, and singing “A Change Is Gonna Come.” Soul producer T. (Theodore) Life, a former member of the band Instant Funk, heard her singing. He took her to RCA, signed her to a contract, and produced her first album Smooth Talk. The album included the disco smash “Shame.” She earned some notoriety as a teenager singing adult themed songs in an adult-sounding voice, but Evelyn was on her way. 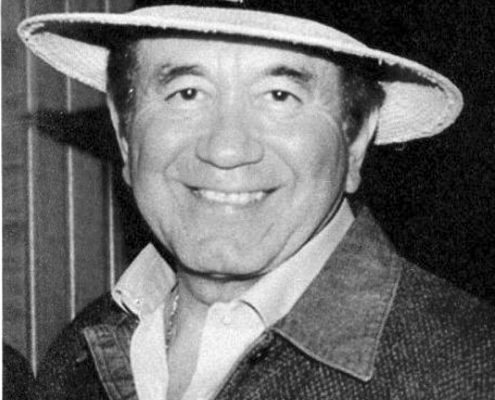 The follow-up, “I Don’t Know If It’s Right” was a major mid-tempo R&B hit. Evelyn had only minor success through the end of the 1970′s, but she began working with former B.T. Express member Kashif as her producer. 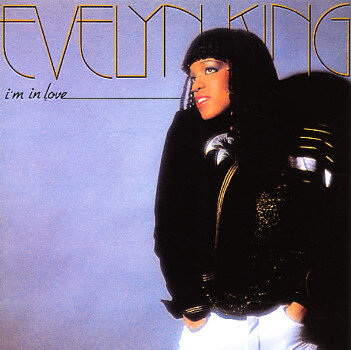 The result in 1981 was “I’m in Love,” a #1 dance hit. She followed up with the Get Loose album in 1982 and another smash, the classic anthem “Love Come Down.” Kashif maintained an open, uncluttered production style that let Evelyn’s strong, rich voice shine through. 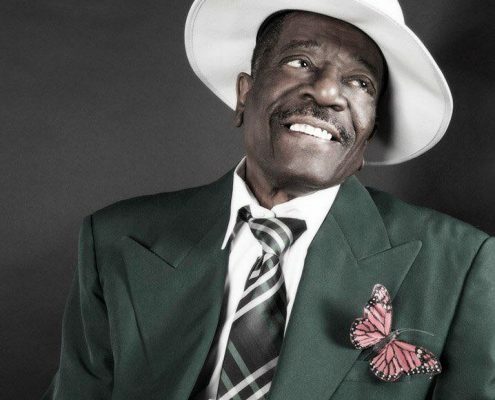 Evelyn continued to hit the charts through the rest of the early 1980′s. 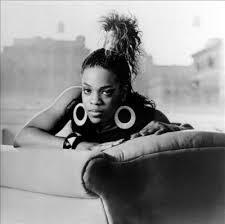 In the late 1980′s she left RCA for Manhattan Records. The result was another major hit with “Flirt.” At the time she was 28 years old and engaged to be married. Of her hit, she said “There’s too many diseases out there and too many people jumping into bed. 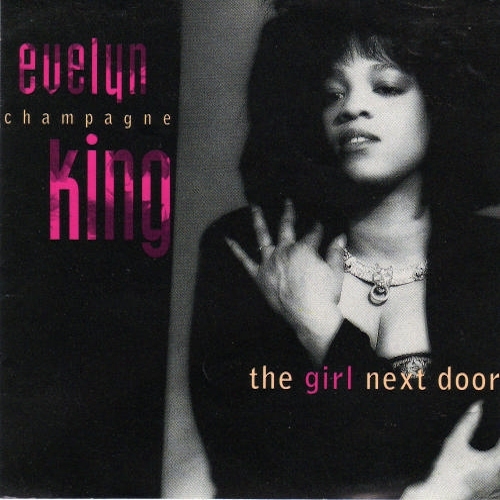 My song is a way of telling them ‘Go through the flirting stage first’.” King’s 1995 album The Girl Next Door is a celebration of this philosophy: a spirited, ear-opening 10- song platter that is all Evelyn. Produced by such luminaries as Leon Silver III and Gene Dozier, Nayan, Ten City, Marshall Jefferson, and her brother Johnny King, The Girl Next Door deftly showcases the versatile musical and vocal talent that has kept the artist among the most important female vocalists of the past decade. The Girl Next Door covers a wide range of material, offering a bit of something for everyone. 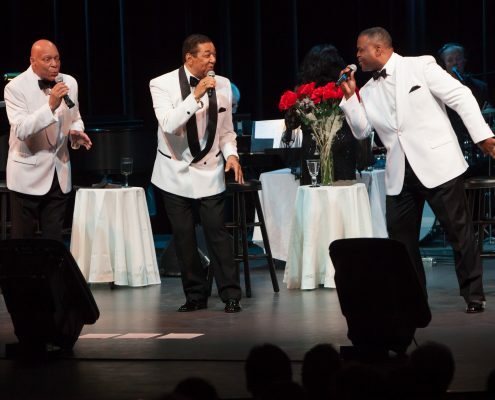 Selections such as the seductive “Day To Day,” the arresting “Magnet” or the comforting ballads “Cross Your Mind” and “This Song” all serve to accentuate the artist’s remarkable ability to perform with all cause music that ranges from cool, Quiet Storm to beat-laden House. Over Evelyn’s 10 album career (The Girl Next Door became her 11th LP), fans and critics have continued to watch and applaud the artist grow and expand creatively without ever losing touch with who she is. 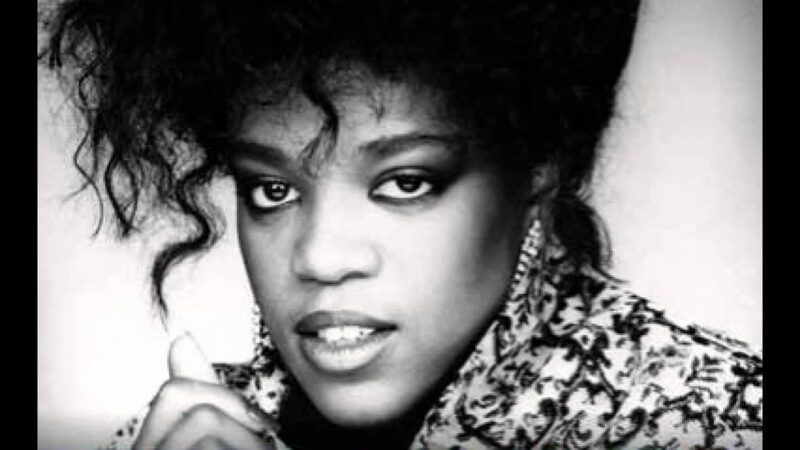 In her modest and confident approach, and by seasoning her vast talent with collaborations that include work with top producers Kashif and Paul Lawrence Jones, Andre Cymone and Ron Kersey and Alex Brown, to name a few, Evelyn King was able to consistently lend a bright and fresh element to her work. And, while each album clearly distinguishes itself from the others, one ingredient has remained: the voice. 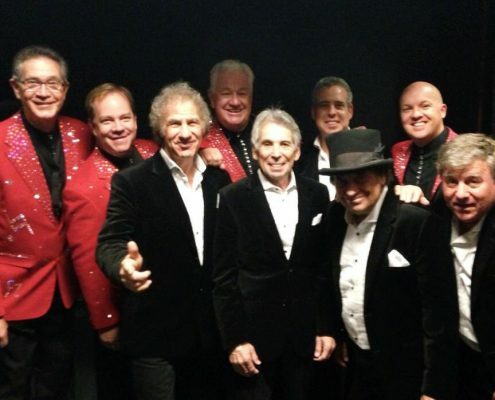 Recall, if you will, the first time you heard “Love Come Down” from 1982′s Get Loose, or 1985′s So Romantic, which featured the hit “Your Personal Touch.” Compare them to Evelyn’s ground-breaking single and album from 1981, “I’m In Love” or the Top 10 “Hold On To What You’ve Got” and “Kisses Don’t Lie” from Flirt. That one ingredient that has not changed is Evelyn’s emotion-textured vocal gift. It is Evelyn’s range and energetic delivery that continues to make every song she selects to record that much more exciting, that much more dynamic. 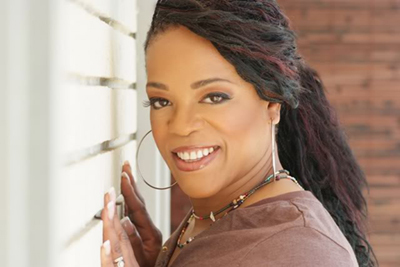 Without issue Evelyn “Champagne” King has continued to enjoy success over time. Hers is a name that commands respect within the industry, a name which has remained prominent in the Pop, Club and R&B arenas since the artist burst onto the music scene what seems a short time ago. 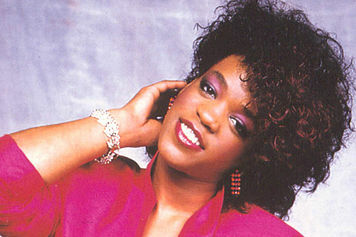 King made her dramatic introduction with 1978′s Top 10 crossover classic “Shame” off her Gold-plus debut album Smooth Talk. Few are the music enthusiasts who can recall that tune without finding themselves humming or singing its profoundly catchy chorus. “Shame” was an exciting taste of things to come from an artist on her way to super-stardom.